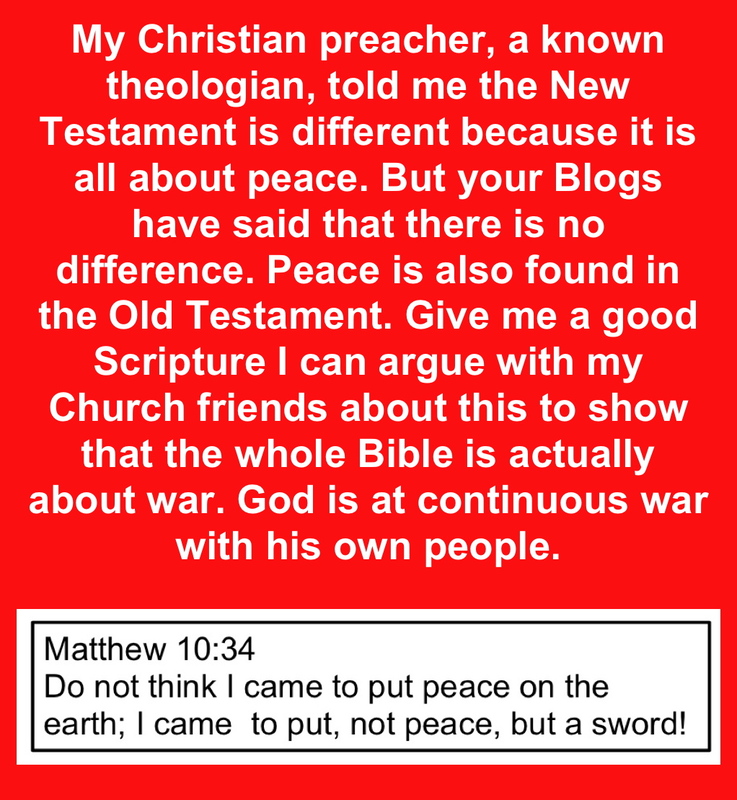 Timely Christmas message from the Savior Jesus Christ for 2013: Do not think I came to put peace on the earth; I came to put, not peace, but a sword! Various Translations of Matthew 10:34; compare it with Luke 12:51 where Jesus Christ is made to say he comes to create DIVISIONS. What does that make of using the Scripture to create harmony in families?. Compare this with Matthew 10:35-37 which tells Jesus Christ came to bring division, giving an Orwellian nightmare over it all. Think not I am come to send forth Peace on this Land; I am come not to send Peace, but War.—Emphatic Diaglott translation. ditliebradio Timely Christmas message from the Savior Jesus Christ for 2013: Do not think I came to put peace on the earth; I came to put, not peace, but a sword!